Steve graduated from Purdue University with a Bachelor of Science degree in electrical engineering technology. 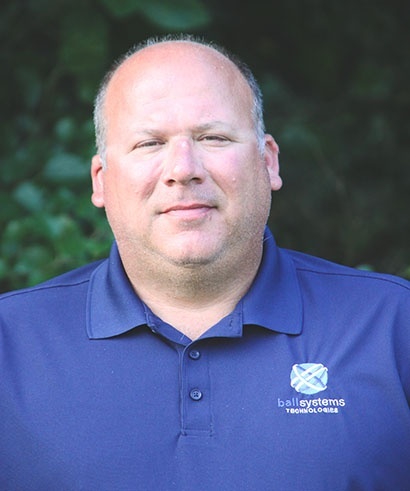 With more than 25 years of experience, Steve’s primary responsibilities consist of interacting with customers to understand what their project needs are and determining the best solution for Ball Systems to deliver that meets those requirements. Once an order is received, Steve will work with the project teams to implement the concept as presented during the project quoting. Steve’s education and experience has allowed him to travel the world designing, building, and supporting test systems. He has led engineering test teams and worked with new product introductions and manufacturing support issues. Steve understands the importance of on-time delivery and the costs of having lines down, therefore he knows and understands the challenges associated with it. With his experience, he has been able to face many challenges as it pertains to the test field and is able to apply it to the customers that Ball Systems serves. In his spare time, Steve enjoys watching and playing golf and spending time with his family. His daughters have been playing golf at various levels and he enjoys going to watch their tournaments.